INVESTORS - Buy us a cup of coffee - Take this reward and we will contact you for a first call or come see you in the local area. PATIENTS: Show how much we appreciate your support by listing you on our website as a “Thank You” AND receive a keychain! PATIENTS: Show how much we appreciate your support by listing you on our website as a “Thank You” AND receive a re-usable bag! PATIENTS: Show how much we appreciate your support by listing you on our website as a “Thank You” AND receive a 20-minute phone consultation with one of our physician founders certified in emergency medicine, sports medicine, and cardiology. PATIENTS: Show how much we appreciate your support by listing you on our website as a “Thank You” AND receive an electronic blood pressure monitor so that you can monitor your blood pressure at home between visits with your cardiologist. You AND your physician will benefit from this gift! PATIENTS: Show how much we appreciate your support by listing you on our website as a “Thank You” AND sponsor your physician to use Urgent Consult for one year. You AND your physician will benefit from this gift! DOCTORS:Show how much we appreciate your support by listing you on our website as a “Thank You” AND receiving a license to use Urgent Consult for three months. INVESTORS - Fly us a cup of coffee - Take this reward and we will come visit you ready to give a full demonstration anywhere in the US. DOCTORS: Show how much we appreciate your support by listing you on our website as a “Thank You” AND sponsor your practice (up to 10 licenses) to use Urgent Consult for three months. DOCTORS: Show how much we appreciate your support by listing you on our website as a GOLD SPONSOR to thank you AND sponsor your practice (up to 10 licenses) to use Urgent Consult for three months. This product includes customization with your logo and onsite training and support. HOSPITALS: Sponsor up to 10 licenses for specialist physicians and UNLIMITED number of primary care and emergency medicine physicians for a 3-month trial period. HOSPITALS: Sponsor up to 10 licenses for specialist physicians and UNLIMITED number of primary care and emergency medicine physicians for a 3-month trial period. Includes customized system. AND be listed on our website as a SPONSOR to show your commitment to improve transitions of care! PARTNERS: Sponsor up to 10 licenses for specialist physicians and UNLIMITED number of primary care and emergency medicine physicians for a 3-month trial period. Be featured on our website as a sponsor. DOCTORS/INVESTORS: Show how much we appreciate your support by listing you on our website as a GOLD SPONSOR to thank you AND sponsor your practice (up to 10 licenses) to use Urgent Consult for one year. This product includes customizations with your logo and onsite training and support. In addition, you’ll receive a seat on our Medical Advisory Board, which includes 0.25% equity compensation. Please contact us separately before purchasing this option. PARTNERS: Sponsor a Hospital , ACO, IPA ( up to 100 providers) for a three month trial. This product includes onsite training and support. They will see Urgent Consult powered by your company. You can gift this to any group or we can choose one on your behalf. Description: Sponsor a hospital, ACO, IPA (up to 100 providers) for a six month trial. This product includes custom integration with an EMR and onsite training and support. They will see Urgent Consult powered by your company. You can gift this to any group or we can choose one on your behalf of your company. You can gift this to any group or we can choose one on your behalf. Urgent Consult is a cloud-based platform that streamlines the medical referral process, facilitating increased revenue and better patient care. It’s time for physicians to leverage technology to refer patients and stop handing patients a note with a couple names of specialists written on a piece of paper. That’s not a referral! But, in fairness, most physicians don’t have the time or resources to complete the referral process on their own. As a result, each year, nearly 24 Million Americans are referred to see a specialist but are unable to schedule an appointment. The patient’s burden of finding a doctor on their own is too high, and results in unnecessary delays in care or revisits to the ER when in need of acute care. And over 50% of discharged Medicare patients should – but don’t – see a doctor within 2 weeks of leaving the hospital, indicating poor coordination of care. Additionally, specialists must receive medical history to successfully treat patients. Faxing forms is inefficient: 65% of Specialists don’t receive the reason for consultation or the patient’s medical info at the time of visit. Primary care physicians need a way to send medical information and prior tests results quickly and securely to the Specialist when the appointment is scheduled, and the current outdated referral system doesn’t allow for this. This leads to unnecessary delays in care, high medical costs, and poor outcomes. 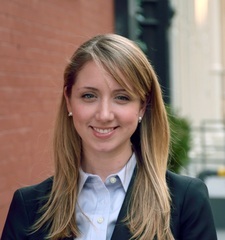 Urgent Consult is a cloud based platform that allows physicians to search for and schedule an appointment with another healthcare provider that fits their patient’s unique needs (insurance, location, urgency of appointment), and transmit medical data – safely and securely. This ensures that when a patient leaves their physician’s office, they have an appointment in hand and the specialist has the prior medical data to ensure a successful consultation. Our cloud-based platform allows for continuity of care and improved patient outcomes, without the need for downloading any extra software. Our reporting functionality offers physicians and hospital administrators real-time transparency into both referral patterns and billing capture across their respective health systems. When a provider needs to make a referral, they simply enter their patient’s insurance, location, and the type of specialist they’re searching for. Our platform lists the best specialists that fits the patient’s individual needs. The preferred appointment time is booked. And the provider can communicate directly across our platform and send any pertinent medical information ahead of the consultation. Using Urgent Consult, a patient leaves their doctor’s office with an appointment with the specialist and the specialist has the information they need for a successful consultation. We also offer super helpful features like text message notifications and reminders, as well as confirmation prior to the visit via text and voice. Physicians love us! Urgent Consult increases coordination of care by making it easy and secure for physicians to communicate. Urgent Consult is currently in use by Mount Sinai’s cardiology department. We’re helping patients at risk of cardiovascular disease increase compliance with physician recommendations and access to specialist physicians in underserved neighborhoods in the Bronx, Brooklyn and Queens by ensuring timely visits and enhanced coordination. Urgent Consult has supported nearly 3000 patient appointments. Urgent Consult has been operational for only one year and in that time we signed our first marquee customer, Mount Sinai Health System. Our initial rollout to their cardiology department has been a resounding success, with over 2,000 captured patient visits. Using Urgent Consult, Mount Sinai has seen an increase in patient capture as well as an increase in billings. However, our value isn’t limited to hospitals. We have validated the need for our product in other customer segments as well. We are working with the Allure Group, which manages 5 post-acute care centers in New York. The Allure Group is using Urgent Consult to schedule and track referrals from their floor physicians to visiting specialists in their nursing care facilities, an inefficient process formerly done via paper and pen. As a graduate of the Blueprint Health Accelerator and a recipient of the Pilot Health Tech/Health 2.0 grant, we have forged strong industry relationships, which we are leveraging to propel Urgent Consult forward. There are often unnecessary delays in patient care. The average number of days to see a cardiologist is 15.5 days. In cardiac diseases, timely follow up can significantly save lives. Using Urgent Consult, primary care physicians can be sure that their patients are seen by a cardiologist in a timely manner and ensure they receive the consult results, closing the loop on provider communication. Many cardiac patients end up in the ER simply because they did not – or were unable to – follow through with the correct preventative care in a timely manner. Currently, finding a specialist is left to the patient, who can be overwhelmed with information regarding who accepts their insurance, is in close proximity, and can see them immediately. However, by using Urgent Consult, the patient leaves their primary care physician’s office, or the emergency room, with an appointment with a cardiologist in-hand. The patient receives a print-out with directions to the cardiologist’s office as well as a text message reminder the day before the appointment. By doing as much as possible to ensure that the patient seeks follow-up care in a timely manner, the likelihood of strokes and cardiovascular illness are reduced. Moreover, the patient’s cardiologist can more easily keep the primary care physician up to date regarding EKGs, tests, and any other changes in their patient’s health. Urgent Consult enables both the cardiologist and primary care physician to communicate more effectively and thus provide complete and qualitatively better care. One of Urgent Consult’s primary goals is improving patient satisfaction. We’ve all been in the following situation- your PCP tells you to see a specialist and then simply hands you a list with the names of 2 or 3 specialists to call. They may even provide the phone numbers, but they definitely don’t have any insight into whether or not these providers are taking new patients, where their offices are located, what their availability is, or what insurances they accept. It’s no wonder that each year nearly 24 Million Americans are referred to a specialist but fail to make the appointment- it’s simply too burdensome and time consuming. By providing physicians and their staff with the tools to easily make a follow-up appointment for you, Urgent Consult removes the burden from the patient and ensures follow-up care occurs. You’ll be handed an appointment confirmation sheet with all the information you need about where the provider’s office is location and instructions for what to do prior to arrival. We’ll also send you a text message the day before your appointment to remind you when and where your follow-up appointment is. Urgent Consult was created by physicians for physicians. Help Your patients get better faster with Urgent Consult and show the world you care about this problem and want it solved. Urgent Consult connects your physician network to allow you to seamlessly find care for your patients and ensure that they receive the proper follow up. Our user interface is easy, familiar, and allows you to provide care more effectively. For PCPs we help them find care for their patients, reduce the time that it takes their office is spending on referrals, and keep patients satisfied by providing referral appointments on demand. For Specialists: we help increase new referrals and streamline prior authorizations. Urgent Consult can strengthen existing relationships with providers and foster new relationships. Urgent Consult can help connect physicians and their network of physicians – whether loosely affiliated or We connect providers in a meaningful way that allows them to easily and securely refer patients and communicate effectively across care settings and EMRs. Using Urgent Consult, primary care physicians are valued by hospitals for in-network referrals, and specialists will see increased patient volume. Urgent Consult identifies new referral sources and strengthens existing relationships. Our technological features engage users and streamline workflow processes. For example, our one-touch scanning feature allows paper-based clinical data to be scanned, stored securely and shared within seconds. In comparison, traditional EMRs are not user friendly and have a steep learning curve. They often require complex infrastructure that is expensive and difficult to maintain. Urgent consult is a cloud-based platform that is simple to use and can be accessed from any computer or mobile device. We help hospitals by keeping patients in-network and providing transparency and key insights into the referral patterns of your physicians. Currently, hospitals have very little insight into who their physicians are referring patients to and which providers are sending their physicians the most referrals; there is little to no transparency into provider relationships. 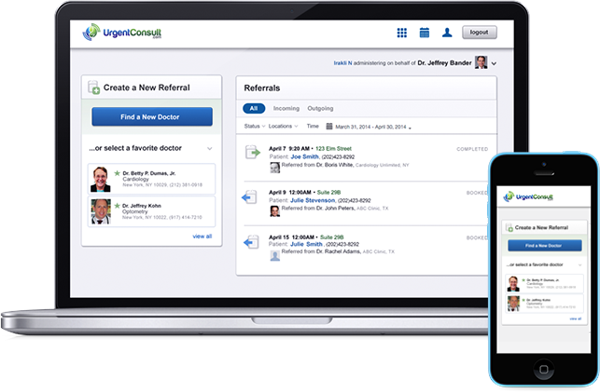 Urgent Consult’s reporting functionality offers valuable transparency into referral patterns of physicians. We not only report who’s sending referrals out of network, but offer a tool to keep those referrals in network. Hospitals are able to restrict the networks in which their providers refer. In a recent study by the Advisory Board, they found hospitals averaging a 50% patient leakage rate. Those are patients who went to a hospital to receive primary care and ultimately found a specialist at another hospital. Each patient that walks out the door is LOST revenue for the hospital. By keeping referrals in network, patient leakage is reduced and revenue is increased. For example, A hospital network of 1,000 physicians might have 200 specialists. Those specialists will generate $300 Million a year in billings. If we can increase patient volume by just 1%, we can help a hospital network generate an extra $3 Million in revenue. That’s just ONE extra patient per month. Advanced medical treatments and pharmaceuticals can only save lives if patients have access to them. We help make sure that patients have access to available medical providers that take their insurances. By streamlining communications across EMRs and care settings we help make sure that the patient’s primary team are aware of changes to plan of care and medication lists. By increasing provider communication we hope to increase patient compliance and decrease medication discontinuation. Urgent Consult is an ideal platform for care management. Using Urgent Consult, physicians are able to easily coordinate patient care and share medical documentation, regardless of the EMR they use. When a cardiologist receives patient history or test results prior to the visit, they are better able to spend their time focusing on corrective action plans and preventing reoccurrences of heart disease and stroke. Using Urgent Consult to instantly schedule both walk-in and follow-up appointments with patients also saves valuable time and gets the patients into the office faster and with more regularity, without the patient having to shoulder the burden of making the appointment themselves. Urgent Consult is currently in use by Mount Sinai cardiologists who travel throughout the New York boroughs to treat patients with cardiovascular disease. Our platform is enabling better follow-up care for cardiac patients in underserved neighborhoods in the Bronx, Brooklyn and Queens by ensuring timely visits and enhanced coordination. Furthermore, using Urgent Consult, Mount Sinai cardiology has seen a decrease in their patient no-show rates to 8%, which is well below average. Urgent Consult gets patients to the right cardiologist, at the right time, faster than traditional referral and scheduling methods. We will use the money raised to expand both our sales and marketing team, in order to further our company’s growth and reach additional physicians and patients. We also need more customer service representatives in order to onboard and support our growing pool of users. Finally, since we are as much a technology company as we are a healthcare company, we plan to hire additional software engineers and a dedicated UX designer, as we are constantly working to add new features and improve functionality.